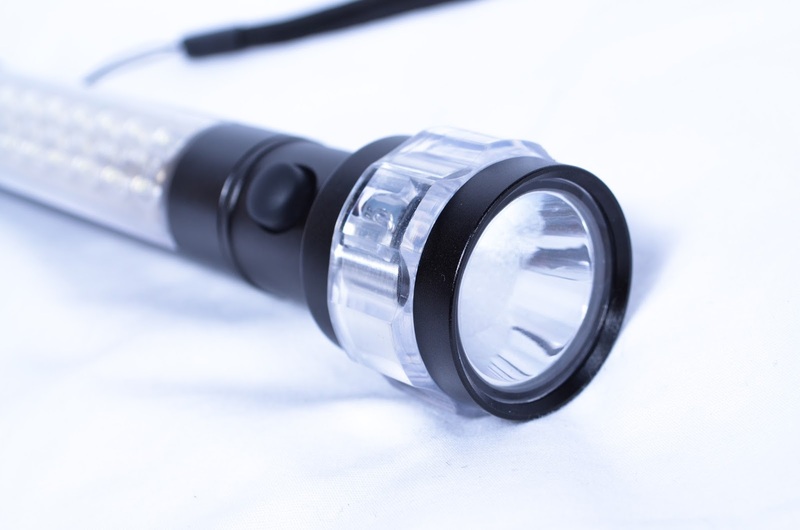 It's always handy to have a basic flashlight in your car for roadside repairs and alerting other traffic to issues. Don't forget about arriving at a strange location at night when you can't see; grab one of these and you're golden. After using this one for a while I have to say the best description of it is "perfectly average". Build- I like seeing all the black surfaces made out of metal especially when I think this will live it's life in my trunk. Everything transparent is plastic and while I would like nice thick glass I can see how that would add a lot of weight. The plastic isn't noticeably flimsy but I don't think it would stand up to many hits with anything hard. The single button used to jump through the different functions is covered with soft rubber but everything seems a little mushy; not a solid reassuring click right where you expect. On the bottom is a strong magnet which opens up some possibilities when working. 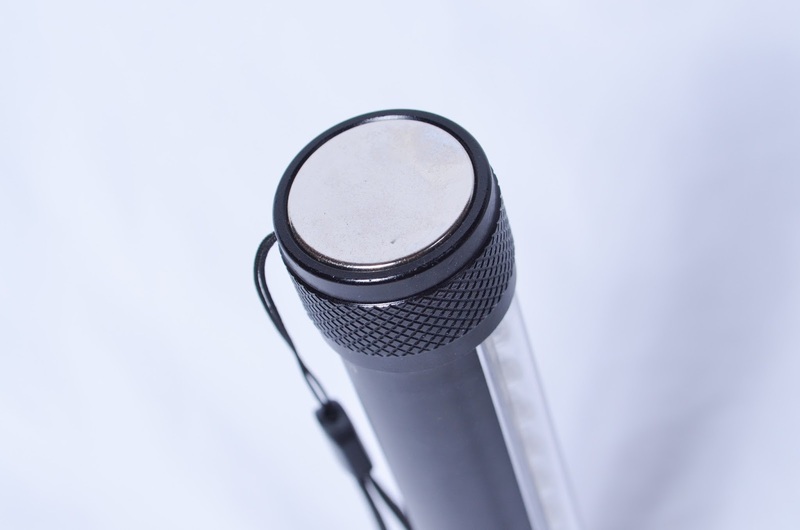 Lastly is the hand strap that is tied right into the base of the light. If it breaks I don't think replacing it would be very easy. 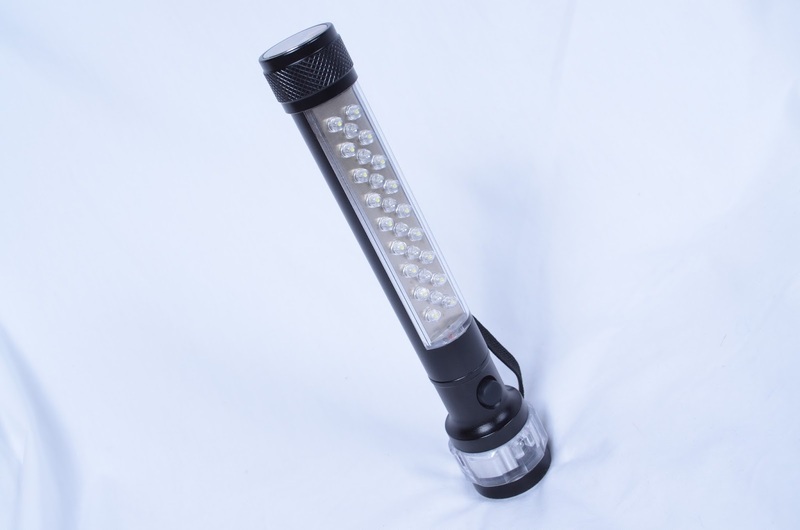 Function- There are three modes: Flashlight, Work light, and Emergency light. Let me get out of the way right now that I was disappointed with the main light. It's not very bright and lacks any sort of zoom function. Usually for a flashlight this would be the crowning jewel but the lack of focus here relegates it to something to keep in a toolbox for when you don't wan to run for anything else. The other two modes seem to be a little more useful. 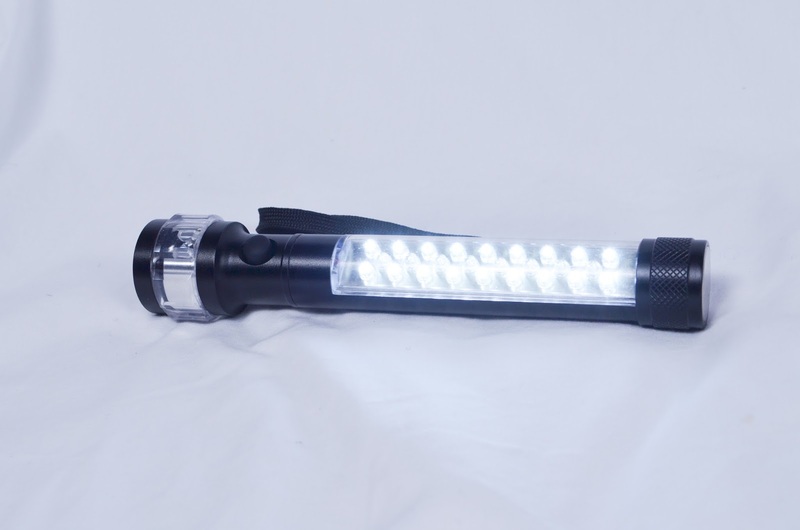 The work light is reasonable bright and would be passable for anything you might need to do any the side of the road. The magnet just adds to the usefulness by letting you stick it to a hood. The emergency light function could be handy as well. It won't blind passing motorists(probably a good thing) but it should be noticed at night. These day's everyone is trying to come out with the next big thing in flashlights be it higher power, different battery options, or extra features. With this one it just comes down to excelling in anything. It check off the boxes of something handy so it has it's place but not as your go-to torch. It works, I'm just not impressed. I received this product free in exchange for nothing more than my honest opinion.